Choosing a great gift for a nine year old girl can be challenging. Here, we have compiled a huge selection of awesome gifts your little girl is sure to love. You’ll find everything ranging from clothing and accessories to craft kits and board games. There’s something to suit all budgets here too, from small gifts and stocking fillers to major gifts for the special little girl. 1.1.1 What to get a nine year old for Christmas? 1.1.2 Is my little princess too old for dolls? 1.1.3 Types of gifts for a 9 year old? 1.1.4 What gift ideas are best to get my birthday girl? 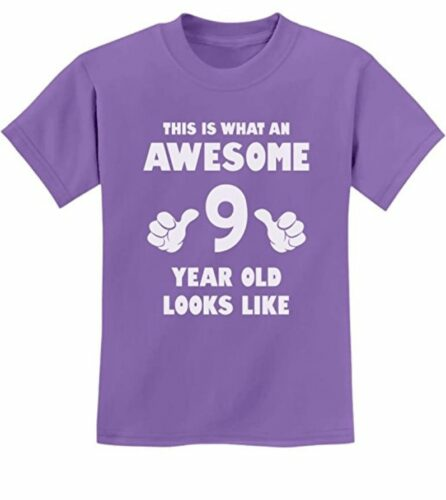 This fun t-shirt comes in a choice of nine colors, and a range of sizes. It’s great for the birthday girl to wear on her special day, to make sure everyone knows it’s her birthday! The cotton t-shirt is great quality and very comfortable to wear. It’s made from thick material which will last well. It’s easy for parents to wash and dry, and the color won’t fade out. 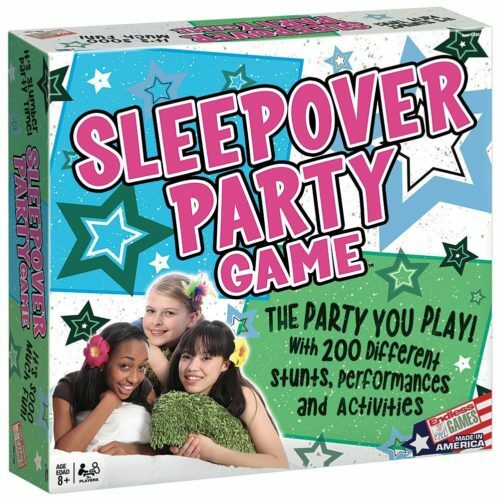 This board game is great for girls to play at slumber parties. Spin the spinner and attempt one of 200 challenges and activities. Girls will never get bored from playing this game – the number of challenges means it will take a long time for the same one to come up again. The board game is great for parties too – everyone will love joining in the fun. It is ideal for anyone over the age of 8 years, and best for 3 or more players. The challenges involve acting out fun scenes and other party game challenges – the game is sure to have everyone laughing out loud! 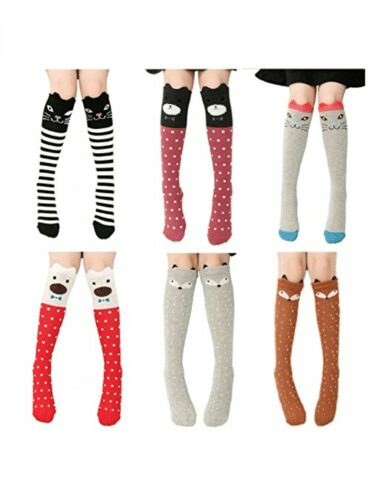 These cute animal socks come in a pack of six different designs. They fit ages 3 up to 12, as there is no heel, meaning they will last for years. They are made from 85% cotton, meaning they are soft and comfortable to wear. Girls will love coming up with new outfit combinations with their different colored socks! Parents will love how easy they are to wash, and the colors will keep looking great even after several washes. This board game is great for older kids. The award-winning game can be played by the whole family – everyone will love getting involved. There are hundreds of image and question cards, meaning you will never get bored of playing. 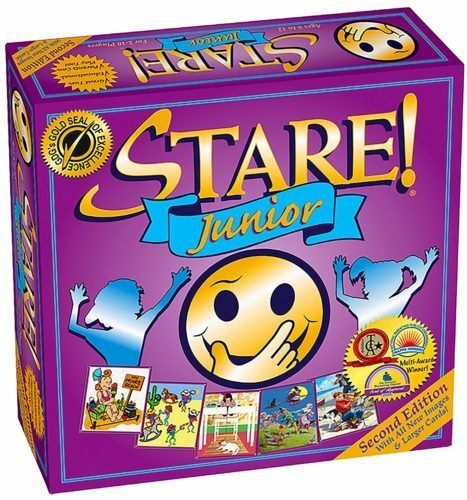 The board game is great for developing memory and concentration skills, perfect for helping kids at school. The game can be played by individuals or in teams, meaning it’s ideal for all skill levels to play together. The board game is great for parties, family game nights or playing when friends are over – it’s the ideal birthday gift for a 9 year old! 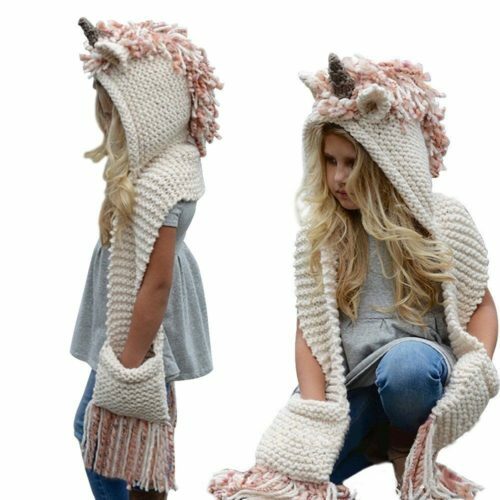 This cozy hat/ scarf is great for any young girl who loves unicorns! It is sure to keep kids warm when it’s cold outside. The scarf will look great with any outfit, and it even has pouches to keep hands cozy! The unicorn hat is made from acrylic, and can be hand washed. It is hand crafted, but still very affordable. This would make a great Christmas gift for a young girl who has everything! This cute toy would make a great stocking filler for a nine year old girl. The monkey responds to sound, movements and touch by blinking and turning her head as well as making noises. The interactive pet toy has over 40 responses, making it lifelike and lots of fun. The toy is great for kids who want to practice looking after a pet, but without the responsibility. There are playsets available to add to the collection, making the Fingerlings a great gift. 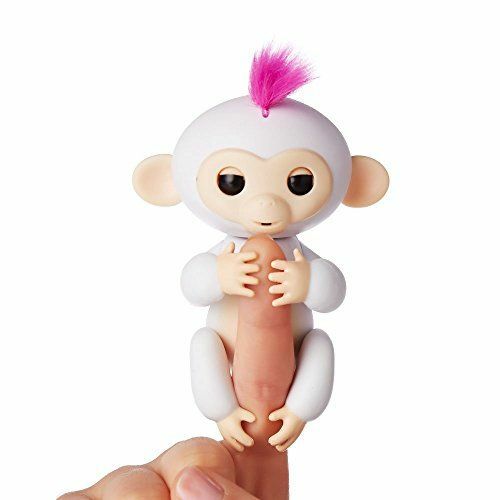 These include playgrounds and monkey bars, and the Fingerlings is also available as a unicorn! 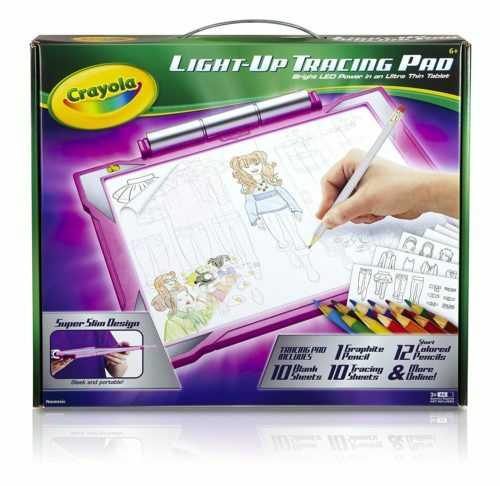 This drawing set for older children includes a lighting up tracing pad, tracing sheets and colored pencils. 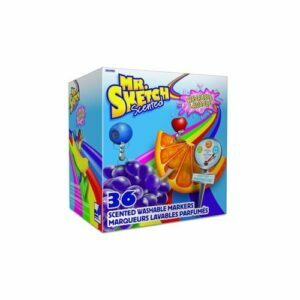 There are over 100 traceable images included, meaning kids can draw just about anything with this Crayola set! There are hundreds of images available to download online to give even more drawing possibilities, meaning children can easily learn to draw their favorite things. The box comes in a choice of two colors – either pink or blue. It’s ideal for traveling as it’s light and compact, and easy to pack up. 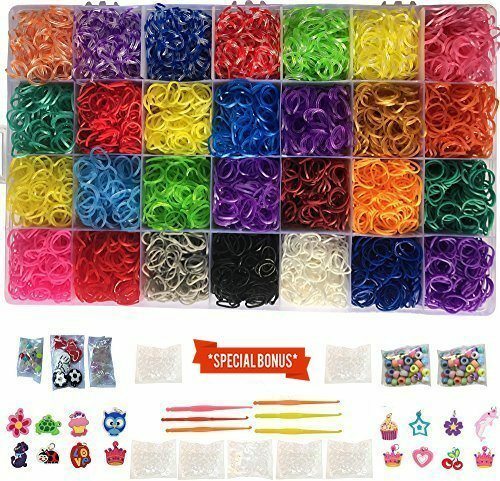 This huge loom band set is great for girls who love creating items from the popular bands. It contains bands of 28 different colors, as well as UV color changing bands. There are charms, hooks and clips included too, meaning it’s easy to finish off your creations. The loomy bands come neatly stored in a plastic organizer box. This set would make an excellent gift for a young girl, and is sure to keep her occupied for hours. There are hundreds of instruction books available giving step-by-step instructions for creating a range of beautiful figures, objects and accessories. 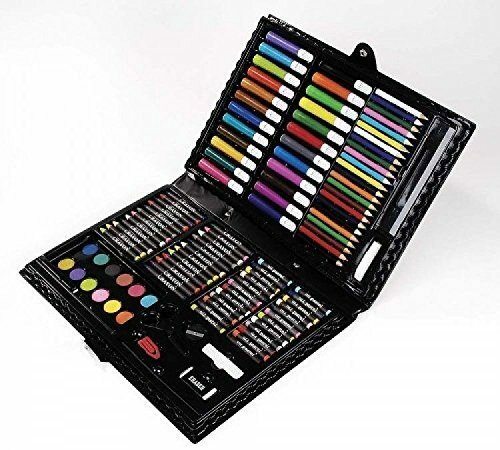 This large art set would make a great gift for 9 year old girls who love to draw. It includes a range of drawing supplies, meaning kids can use any medium they like. There are pencils, crayons, pens, paints and oil pastels, as well as accessories such as a ruler and eraser. The art set comes neatly packed into a sturdy carry case, which is perfect for keeping everything together. The set is perfect for taking on vacation – parts won’t get lost and it will keep kids entertained for hours. 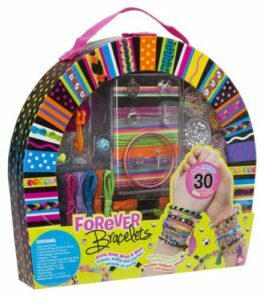 This fashion kit is great for those who are struggling for 9 year old birthday girl gift ideas. It allows kids to design, draw and create their very own dresses using real fabric and pins. The kit comes with a small mannequin, fabric samples, as well as sewing essentials including a tape measure and scissors. The Faber Castell craft kit is great for creative girls who are learning how to sew. It is a great kit for parents and children to work on together, to develop kids’ needlework skills. Girls will love creating their very own clothes – perfect for dolls or simply having on display. This is one of the top toys for 9 year old girls. The possibilities are endless with a Spirograph set – this one has twice as many gears as the original meaning even more designs can be drawn. The kit comes with colored pens and pads of paper, meaning kids can get started straight away. 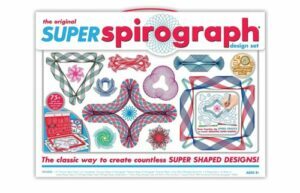 Children, and adults, of all ages will love drawing and creating with the Super Spirograph set. It is great for keeping children entertained, and can be a great way to relax. Parents will love reliving their childhood with this classic toy. It comes with instructions for kids to learn how to use it, too. This is a popular toy for 9 year olds who love all kinds of crafting activities. It can be used to make 30 bracelets, perfect for sharing with friends. There are a range of different colored threads, meaning girls can make one to match every outfit! The make your own bracelet kit also comes with a hook, beads and metal charms. Everything comes stored neatly in a reusable storage case with a carry handle, making it perfect for taking on the go. This spa set is a cool gift for a 9 yr old girl. It contains over 30 pieces, sure to help your girl pamper herself and her friends! This is a great gift for girls who are starting to get interested in beauty, and love to copy mom! The girls’ beauty set includes nail polish, false nails, nail art stickers and even a satin eye mask and a pair of pedicure slippers. Young girls are sure to feel like a princess after using this kit! This board game is great for those who are struggling to find present ideas for 9 year old girls. The game features beautiful artwork, sure to be loved by children and parents alike. The board game is also available as a digital edition on the Apple App Store and Google Play. 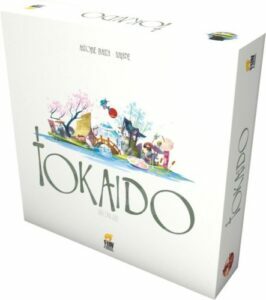 The board game is easy enough for kids to learn to play, but involves playing strategically to keep everyone interested. It can be played with 2-5 players, and is ideal for those over the age of 8 years. For older kids who have mastered the game, there are expansion packs available to make it more challenging and complex. This easy to learn knitting kit for kids is designed for 9 years +. It’s a fun craft project for girls, and is a great introduction to learning how to knit. The kit is simple enough for children to use it alone, or they can do it with the help of a parent. 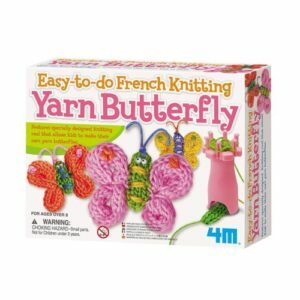 The kids knitting kit contains materials to make 3 yarn butterflies, including ‘googly eyes’. The kit also comes with a specially designed reel which makes knitting easy. Once kids have mastered the butterflies, the reel can be used to create any other animals you can think of. These washable marker pens are ideal for girls turning 9 years old. The pack of 36 markers contains 12 different colors, 3 of each. This is sure to keep kids entertained for hours – they will be able to draw a range of masterpieces with this set! The marker pens are wide and easy to hold, and have angled tips to make drawing finer details easy. Each colored marker is a different scent, sure to encourage kids to get creative with their drawings. This is one of the top toys for 9 year olds who have everything. The device attaches to the back of a bicycle – insert a piece of chalk and kids can draw as they cycle! 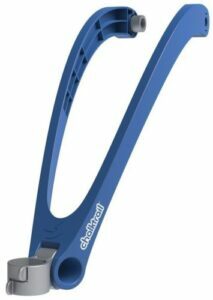 It comes in a choice of two colors, either red or blue, so you can choose one to best match the bicycle. The Chalktrail is great for kids who have mastered cycling and are looking for a new challenge. It’s also great for encouraging youngsters to play outside and get active – it makes riding a bike so much more fun. The device works with bikes of any size, meaning it can be reused when your girl gets a new or bigger bike. It also works on bikes with or without training wheels, meaning it can be used by just about anyone! It is really easy to take on and off, with no tools necessary. This giant balloon set is a great gift for those who are soon to be nine years old. It contains 85 balloons – perfect for a birthday party! Once inflated, they are up to 40 inches in length. The kit also comes with a pump to make inflating the balloons super quick and easy. 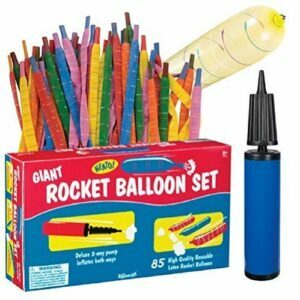 The rocket balloons are great for kids of any age to have a laugh with friends, especially at parties. The whole family will love getting involved with this fun toy! The balloons can be reused after each ‘flight’, meaning there are hours of fun to be had with this great value kit. 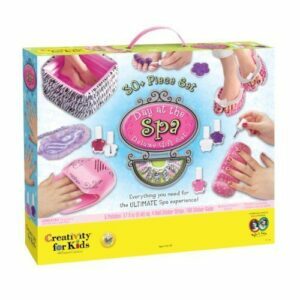 This craft set is a cool gift for 9 year old girls who love to be creative. It allows kids to create their own fridge magnets using tiles and paints. It comes in a choice of either glow in the dark paints, or original, bold colors. 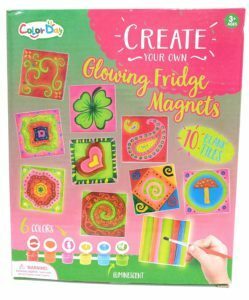 The create your own magnet set comes with 6 paints, meaning kids can create a variety of designs. This is a great activity for girls to do with their friends, or to make as gifts to give to family. It’s the ideal way to pass away a few rainy afternoons. 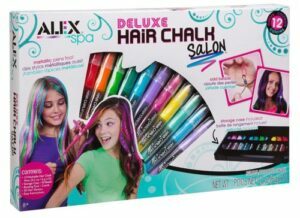 A hair chalk set is the ideal gift for girls aged 9. It comes with 12 different colors, including glittery and metallic ones. There are beads which can be added for an even more glamorous look. There is a tool to help thread the beads onto the hair, as well as a comb and hair elastics. The box contains everything your daughter needs to create a whole new look. The hair chalks look great on any color of hair, and can be easily washed out with shampoo. They are great for girls who want more colorful hair, but aren’t old enough to commit to a more permanent look. The pens come in a reusable box which can be used to neatly store them, ensuring nothing will get damaged or lost. 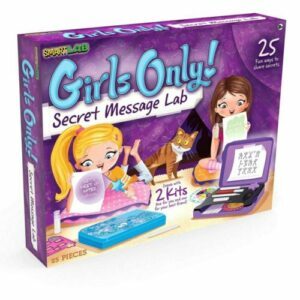 This secret message kit would make a cute gift for a 9 year old girl. It allows girls to write down all their secrets with invisible ink, as well as UV lights to reveal the hidden messages. There are loads of different materials for creating hidden messages, as well as full instructions. The instructions teach kids the science behind the secrets, allowing them to develop valuable skills. The secret message lab is great for teaching kids STEAM skills. It gives instructions on using over 10 different codes to create secret messages. It has enough materials for two children to use the kit at once. This means it’s the ideal gift for sisters to share, or for girls to use with friends. This gift set is great for a stylish girl aged 9. Using the kit, kids can draw and design their very own clothes and outfits. The kit comes with a hardcover sketch pad containing 40 pages full of templates and guides. There are also 8 colored pencils and plastic stencil sheets to help kids get creative. 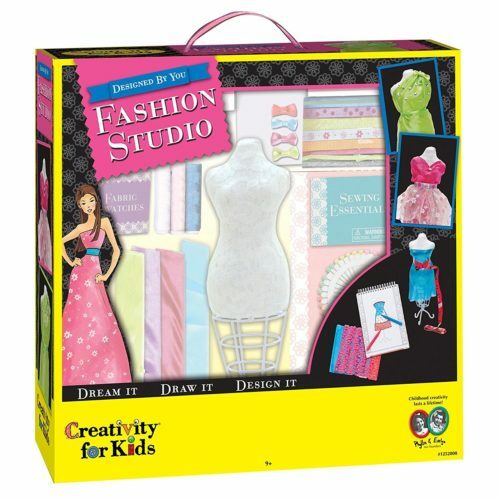 Girls will have many hours of creative play with this fashion design kit. It is great for keeping children entertained on long journeys or on vacation – it is really easy to transport. 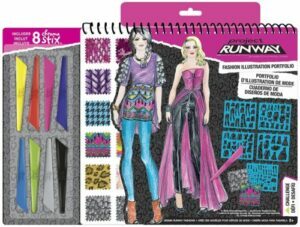 The Project Runway kit is ideal for any young girl who is interested in fashion, and it can even be used by older children who are seriously thinking about getting into the fashion industry. This award-winning robot is a great gift for nine year olds girls. It comes in a choice of 4 colors, and includes a range of accessories. The robot can be coded using colored markers for those who are new to coding. There are 25 STEAM activities included, meaning there is something for all ability levels. 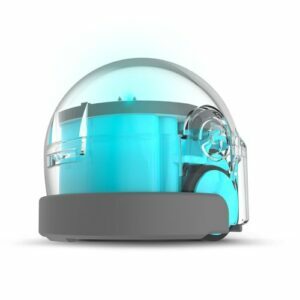 The kids’ coding robot is tiny, meaning it can be taken anywhere. There are stickers included allowing kids to customize their robot to their own tastes. By simply drawing on a piece of paper, the robot will perform different actions such as speeding up, spinning or even dancing! There is also an app which features a drag-and-drop programming editor helping kids easily learn coding skills. 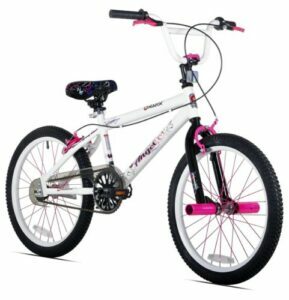 This 20 inch girls’ bike is the ideal nine years old gift choice. It has a strong steel frame, and the wheels have 48 spokes for extra strength. The bike also comes with a kickstand, meaning it will stay in great condition. The Razor Angel bike is a great present for 9 year old girls’ birthdays. The size is just right for girls this age, and it comes in a choice of 2 colors, either pink or white. The bike chain is covered for safety, but otherwise the bike is just like a smaller adult bike. It has all the same features as a full-sized bike, including front and rear hand brakes and pegs on the front wheel. This is one of the best games of LEGO designed for little girls of 9. It has over 1100 pieces – kids will be kept busy for hours building it, and they will have so much fun playing with once it’s built too. The set features 3 buildings, a car and several accessories and figures. This LEGO set would make a great gift for a 9 year girl. It is great for encouraging children to play imaginatively. The set is ideal for friends or siblings to play together, thanks to a large number of pieces. It is the ideal addition to any girl’s LEGO Friends collection and will work well with any other Heartlake sets. 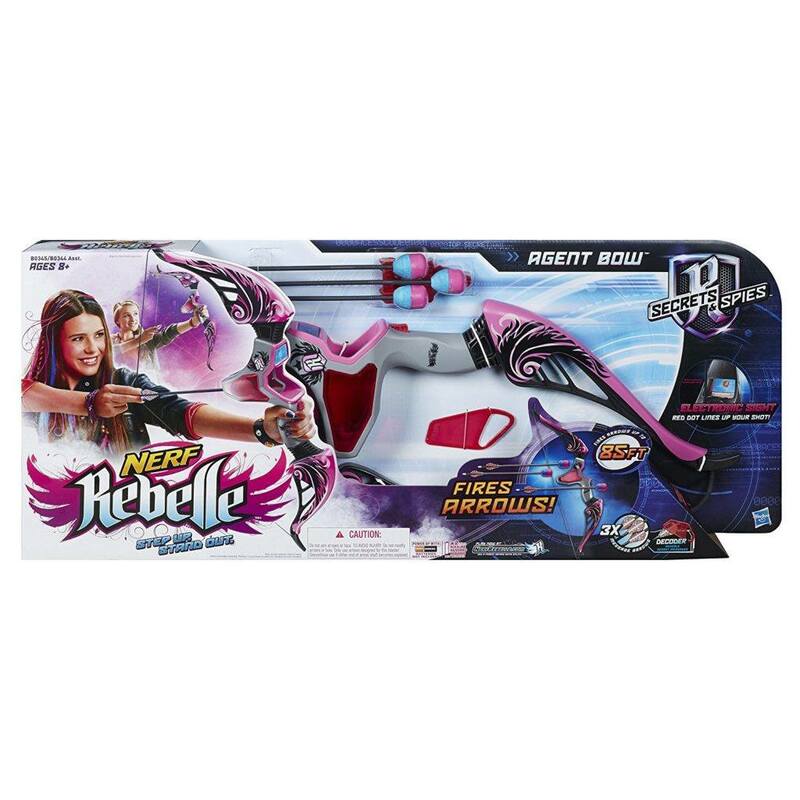 This girl’s Nerf bow would make a great birthday gift for a nine year old. It can be used to fire bows up to 85 feet, making it a great outdoor toy for playing in the yard in the summer. The toy bow can even be used to send secret messages. There’s also a quiver to store the arrows, and the arrows whistle as they are shot. The bow has a red dot which helps kids line up and aim their shot – this bow is great for children who want to have fun outdoors. A kite is a perfect choice for those struggling with gift ideas for a 9 yr old girl. This one is large, and ready to fly in seconds. It’s easy for kids to fly, yet more advanced kite fliers will also enjoy it. The kit comes with a handy storage bag, meaning it will remain in great condition. The line is 130 ft long, meaning it can reach a great height. 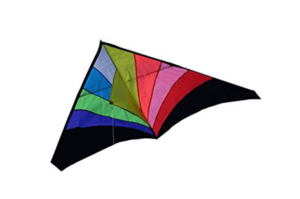 The large rainbow kite measures 71 inches across and is 36 inches from nose to tail. Kids will have years of enjoyment with this kite, and parents will love having a play with it too! This craft kit would make a great Christmas gift for a child aged 9 years old. 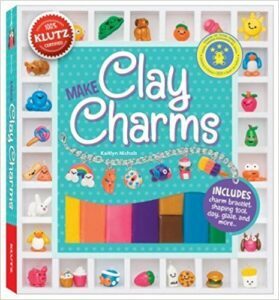 It allows kids to make their own charms out of clay, and comes with a 60 page instruction book full of ideas and instructions. The charms allow kids to let out their creativity – they can make just about anything they can think of! They can also be used in a range of ways, from jewellery to gifts. The kit also comes with a plain charm bracelet which can be customized with the charms your child makes. This cute onesie would make a great Easter gift for girls aged 9. It comes in a range of sizes, to fit children aged around 2-12 years old. The onesie is made from super soft polar fleece material which is sure to keep kids cozy! 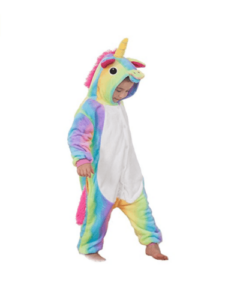 The unicorn onesie would also be great as a Halloween costume. It’s sure to keep kids warm enough when out trick or treating, and looks great too. Little girls will love wearing the onesie in bed, at home or when dressing up. They won’t want to take it off! This is one of the best gifts for girls age 9 who aren’t interesting in typical ‘girly’ activities. 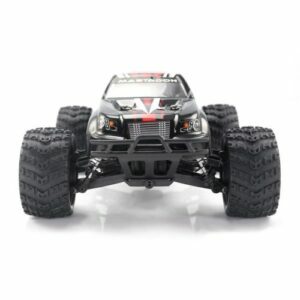 The powerful RC truck has a top speed of almost 25 mph, and offers 4 wheel drive. Dads and older brothers are sure to love helping girls learn how to drive their new car! The 1:18 scale monster truck is ready to race, and takes only 90 minutes to charge fully. This then offers 10 minutes or so of play time, which is great for such a powerful vehicle. The range is over 320 feet – you need a large open are to race this fast RC car! This dream catcher kit is a great toy for 9 year old girls. It includes everything needed to create 2 dream catchers – hoops, acrylic yarn, feathers, pom poms and many more accessories needed to complete the decoration. This gift set is a great way to keep young girls occupied for a couple of hours. The kit makes 2 dream catchers, meaning one can be given away as a gift for a friend! The colors are bold and eye-catching, sure to look great in any room. 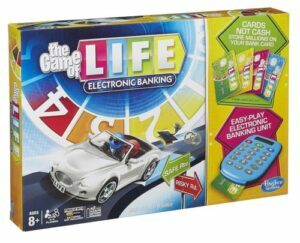 This classic board game has a new, modern twist and it the perfect gift for a 9 yr old girl. It would make a great addition to a family game night – kids of all ages will enjoy getting involved and adults will love playing, too. Unlike the original version, in the electronic version the money is stored on cards. The rules of the game are easy enough for kids to learn, and they won’t get bored during a round. There is something exciting happening with every turn, and they will love logging their spendings on their credit card! Some parents still need help with deciding what gifts to get their little girl of 9 and for them here are some more things to consider before making any decision about what to buy as a gift. What to get a nine year old for Christmas? Children this age are the perfect age for enjoying the magic of Christmas. She will have probably come up with a long list of everything she would like, but it’s unlikely you will be able to give her everything she’s asked for! It’s probably best to take ideas from the kind of things she has asked for, or suggested she would like. There are sure to be plenty of ideas here that she will love. Is my little princess too old for dolls? All girls develop at different rates, so there’s no certain answer to this question. If your 9 year old is still showing an interest in dolls then there’s no reason to stop her from playing with them – imaginative play is great for children of all ages. However, if she is quite grown up for her age, she might no longer want to play with dolls at this age. This might be the case if she has friends who are a few years older. Within reason, it’s best to just let your little girl play with whatever she enjoys. Types of gifts for a 9 year old? Traditional Gifts – There are loads of different types of traditional games and toys for ages 9 and above. These range from stuffed toys, board games and arts & crafts. Girly Gifts – Costumes, Jewelry and makeup are some gift ideas that some parents might find a perfect choice for their little girl. More example is wallets, shoes, clothes and everything related to hair and nails. Sport-related toys and Gifts – Many girls of 9 are into sports and will appreciate gifts that they can use outdoors playing with. There is an endless list and some of my favorite are basketballs, swimming gear, soccer cleats, gymnastics. Volleyball is loads of fun and even snowboarding or skiing is another good choice to gift a child. What gift ideas are best to get my birthday girl? Many kids will want a big party with all their school friends for their 9th birthday. They will love some small gifts too, perhaps a board game to play with friends or family. The first product on our list here is also a great idea for the birthday girl! Anything customized with a ‘9’ is a great choice. A craft kit she can do after the excitement of her birthday is also a good idea. If you are struggling to find a gift for your little girl then it is worth trying to think outside the norm. Funny gifts are a favorite with children and girls love to laugh and joke like the rest of us. The unique gift idea is worth considering and there are loads of light-hearted gift ideas, like the unicorn fart toys that get loads of laughs. There are also concert tickets always available from box offices and stores which make excellent gifts.